Would you spend $8,000 for a fishing rod? Many people have paid that and much more to own a genuine Pinky Gillum fly fishing rod. A Ridgefield native and lifelong resident, Gillum was better known to locals as a skilled carpenter. But in his workshop after hours, he turned out fly rods that today can command five figure prices at sales and auctions, even though they may be 60 or 70 years old. Harold S. “Pinky” Gillum was born in 1896 in Ridgefield, grew up in town, and served in the U.S. Army infantry during World War I. He was a carpenter and homebuilder, and developed the Colonial Lane neighborhood in Ridgefield in the 1950s. He was a perfectionist, fashioning every part of the rods himself except the ferrules. “They are buying two weeks of my life,” he would say of customers who purchased his rods. And he had no patience with buyers who would mistreat his creations. He once yanked a brand-new rod from a startled angler who was jerking it to free a entangled fly. He gave the man back his money and left the stream. 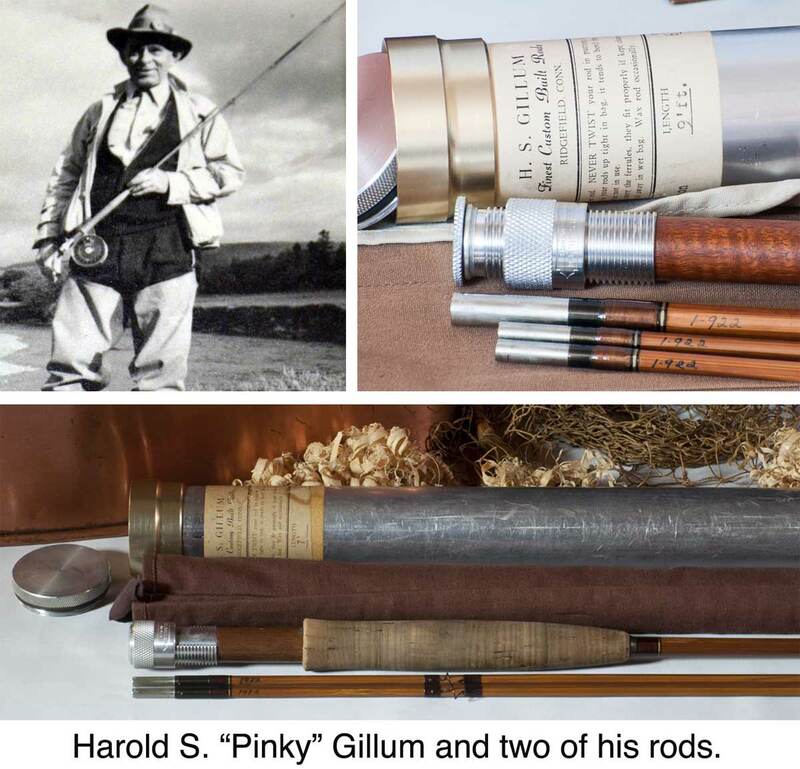 Crosby wasn’t the only celebrity to own a Gillum rod: Benny Goodman and Philip Pillsbury were among the proud owners. 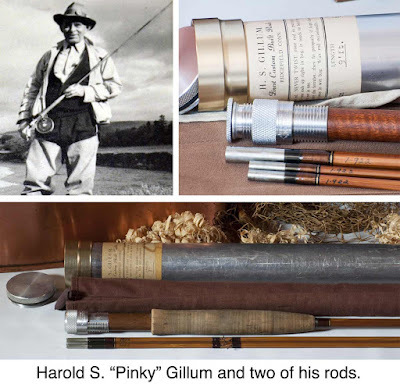 And some of the 20th Century’s top fly fishermen swore by Gillum rods. “If I could have only one rod, I would ask Pinky Gillum to make it for me,” said Jack Atherton. Gillum did not advertise his rods, believing word of mouth was enough. And indeed, he often had more orders than he could fill. He was very secretive about his techniques, but after he died, his wife, Winnie, continued the business, eventually with the help of her second husband, Marcus Prosser, an engineer and avid fisherman. However, those rods do not command the prices and respect that genuine Pinky Gillum rods do a half century after their creator died.